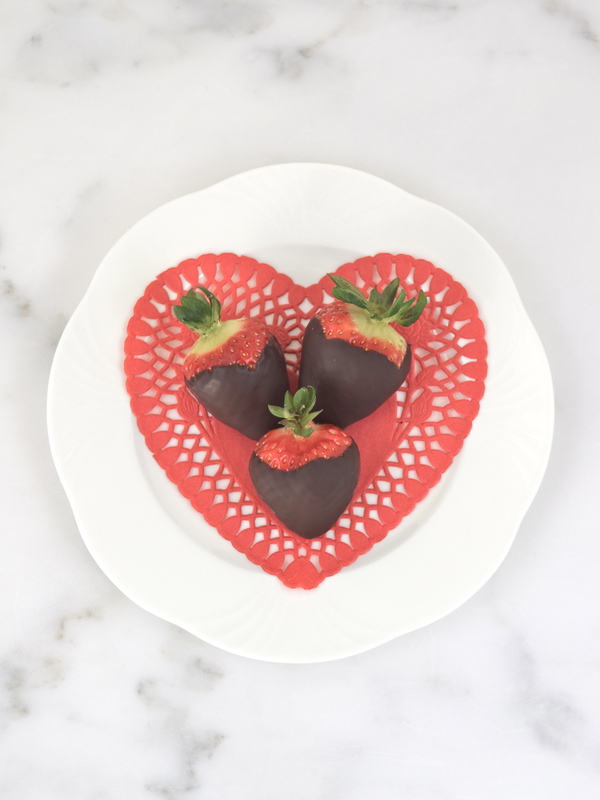 With Valentine’s Day just around the corner, I thought I would write about the easiest dessert to make! 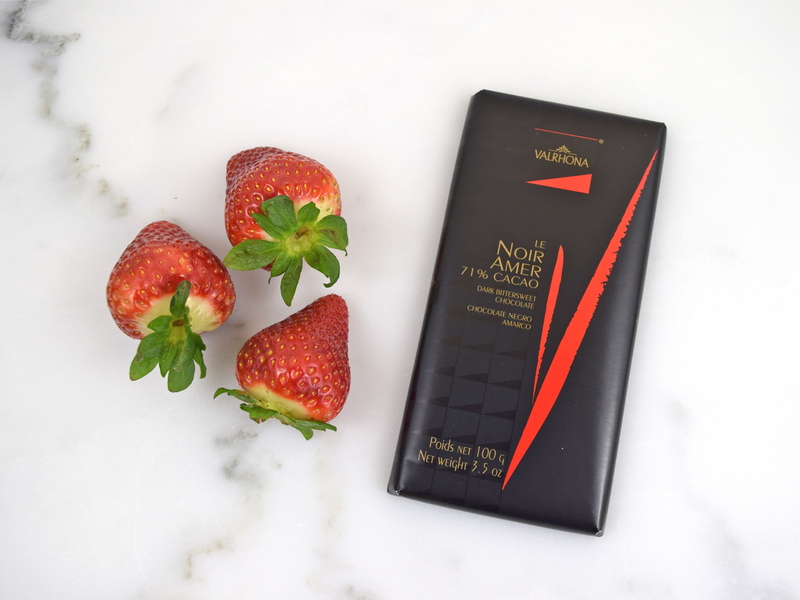 I only use two ingredients, strawberries and a high quality dark bittersweet chocolate, Valrhona with 71% cacao. Many years ago, I would mix in heavy cream, use a double boiler and a candy thermometer, but not any more! I probably will make foodies cringe when I say I use the microwave! 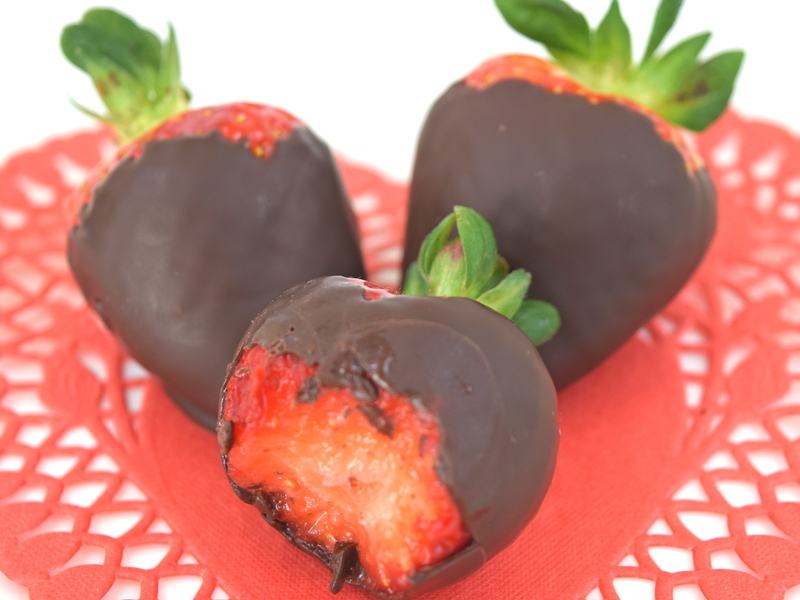 All I can say, there is nothing better than sweet, juicy strawberries dipped into wonderful and delicious bittersweet chocolate!!! Wash and carefully dry the strawberries. Using a small bowl, break chocolate into small pieces and melt in microwave. I start off heating chocolate in 30 second increments, then gradually lessen the time as the chocolate gets soft and melts. You want to heat the chocolate just enough to melt it. 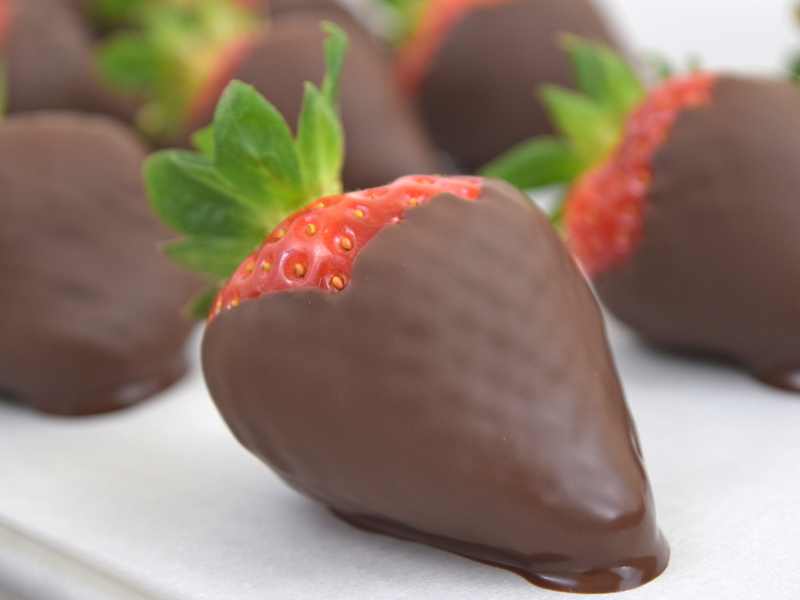 Dip strawberries into chocolate and place on a parchment lined baking sheet. Place in refrigerator for 1 to 2 hours until chocolate gets hard. For best results, serve the same day you make them. Enjoy! Almost is right! Thanks, Bonnie. Thanks so much. Glad you my info helpful! Yes, it is! Good luck!